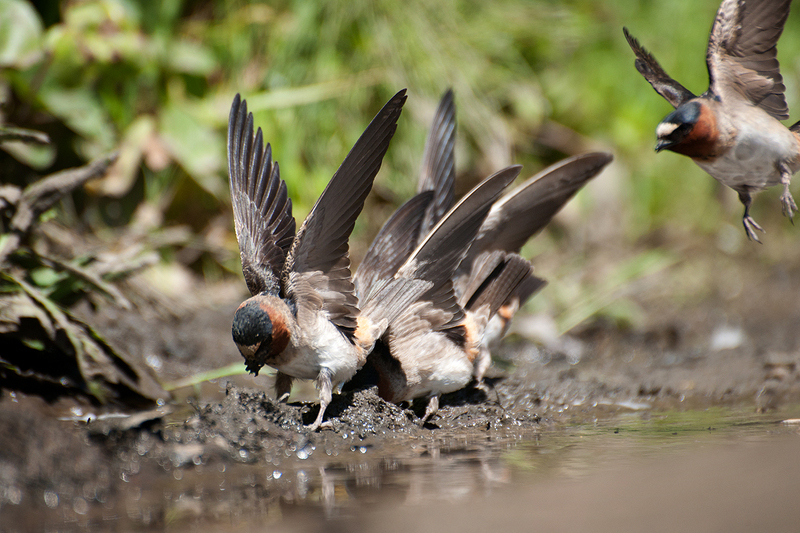 A patch of mud near a nesting colony produces Cliff Swallows fluttering like butterflies to keep their wings clean while they gather gooey construction material. Cueing up in orderly fashion. Here is a description from the Cornell Lab of Ornithology about their nests. 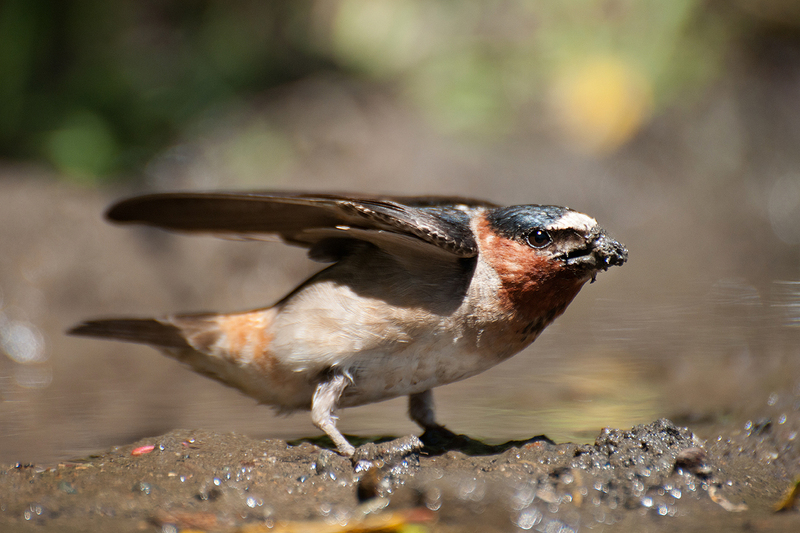 The nest is a covered bowl made of mud pellets, with a small entrance tunnel on one side. Lined with grass. It is placed on a vertical wall, usually just under an overhang. 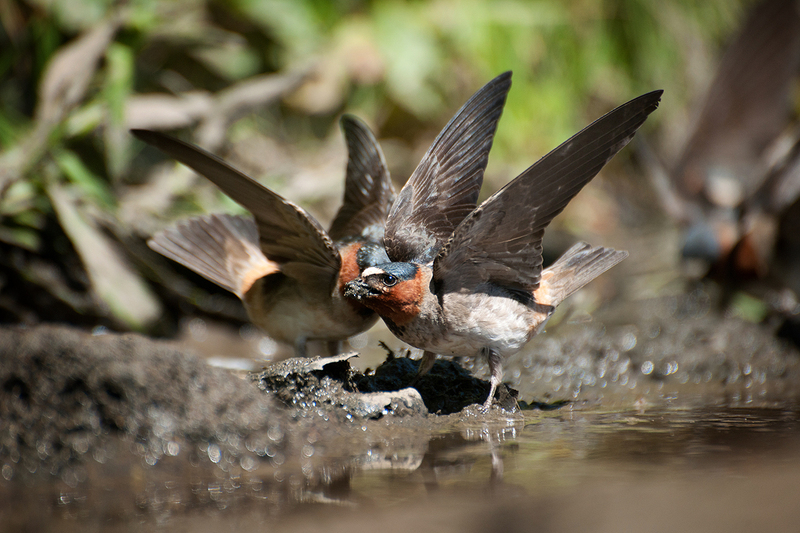 Even their tails are carefully held high and clear of the mud. 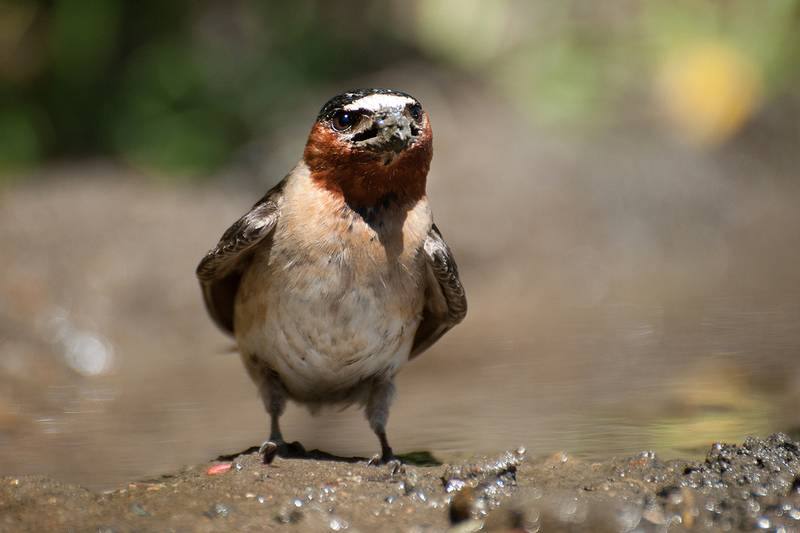 A charismatic and tough little bird. I’ll go back to check on them in a few days. This entry was posted on June 25, 2011 by kitundu. 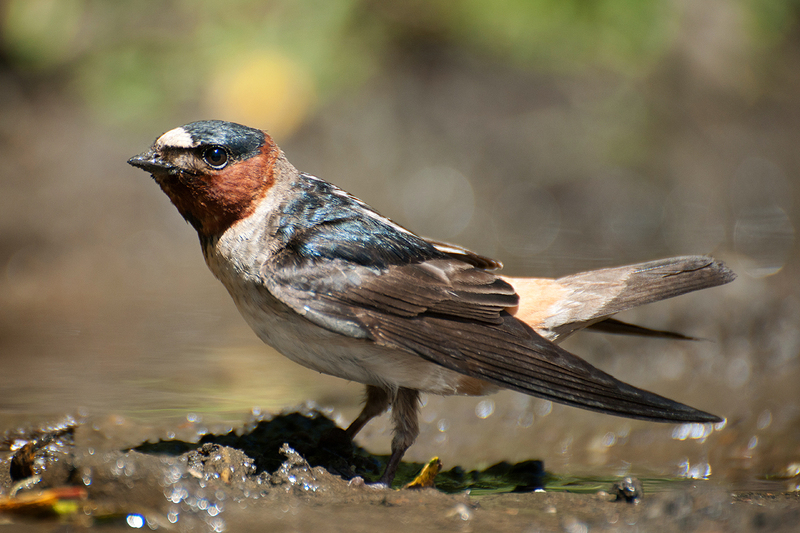 It was filed under Uncategorized and was tagged with Bolinas, Cliff Swallow.